We often get LHD American imports that claim to have come from a dry state yet the body condition when investigated tells a different storey. 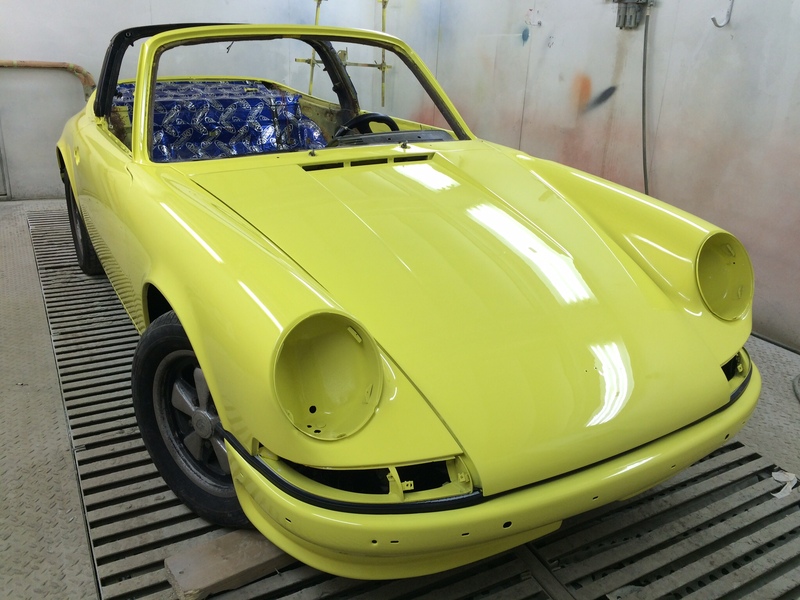 This Porsche 911 bucked the trend and was totally solid. 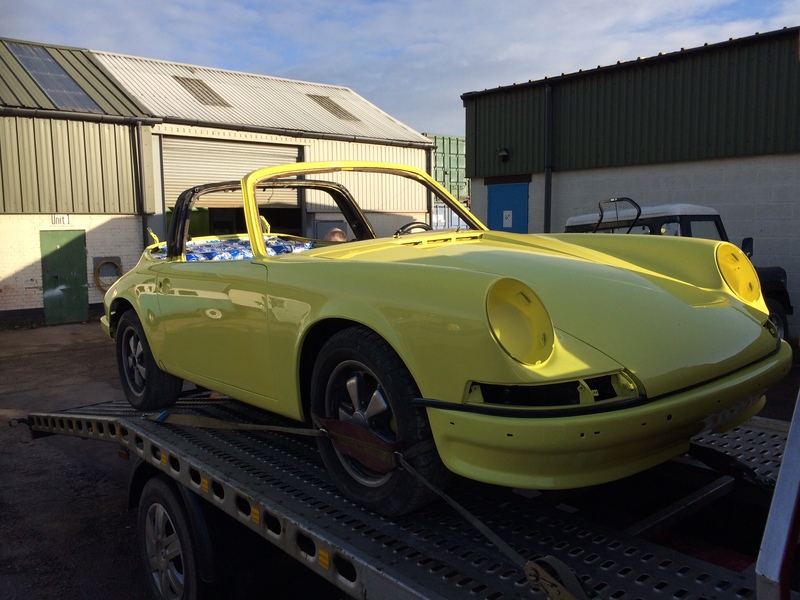 The fact that the Targa roof was still in its original Porsche packaging having never been fitted to the body has to be a good sign. 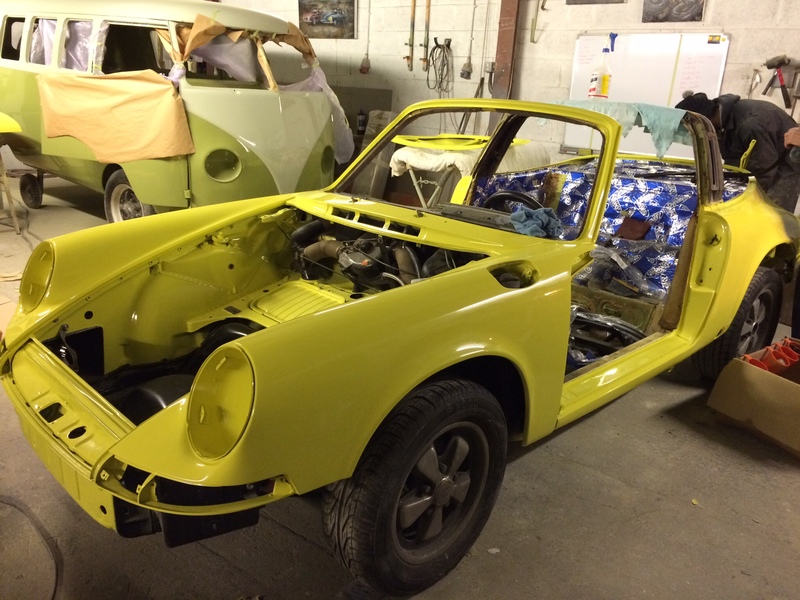 The owner imported this Targa 15 years ago and after enjoying it for a couple of years took her of the road to rebuild the engine which evolved in to a 10 year project of uprating many aspects. 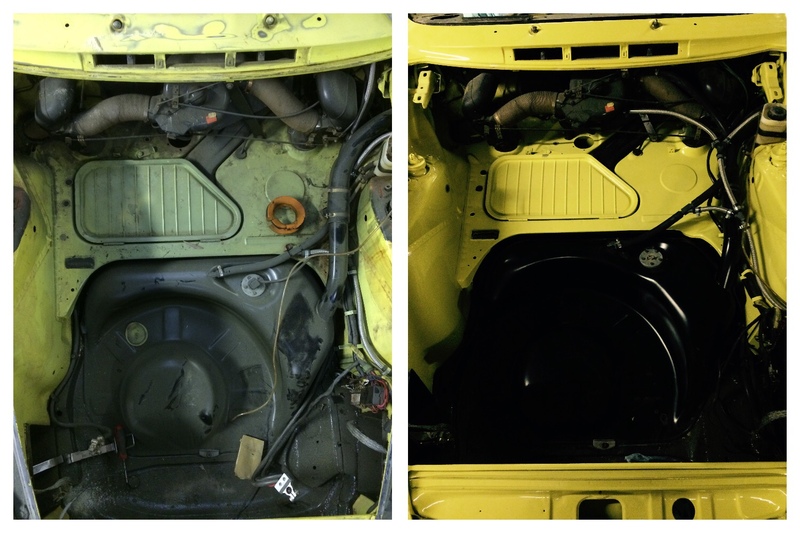 With the engine rebuilt he decided it was time to pay attention to tidying up the faded body. Although there was no rot the body was not with out fault. 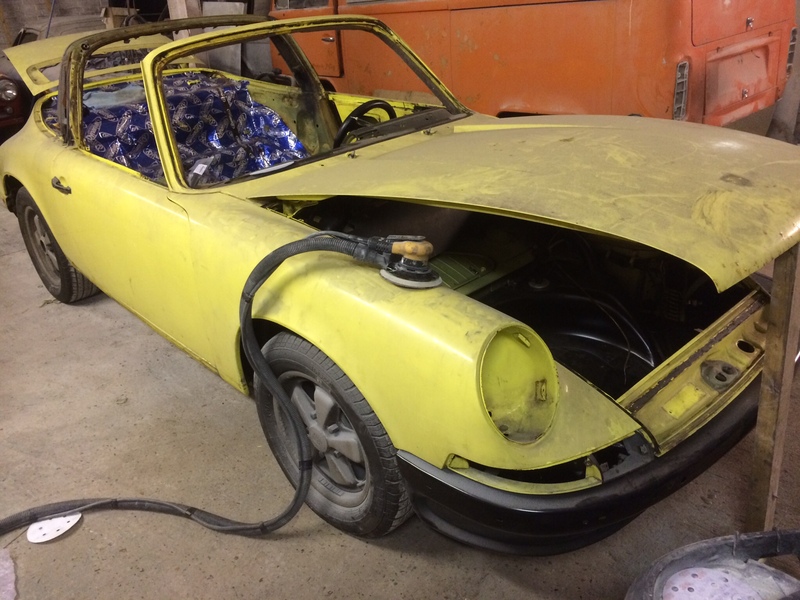 At some point during the Porsche history it had been jacked up of off the sill panel which had collapsed a small section. 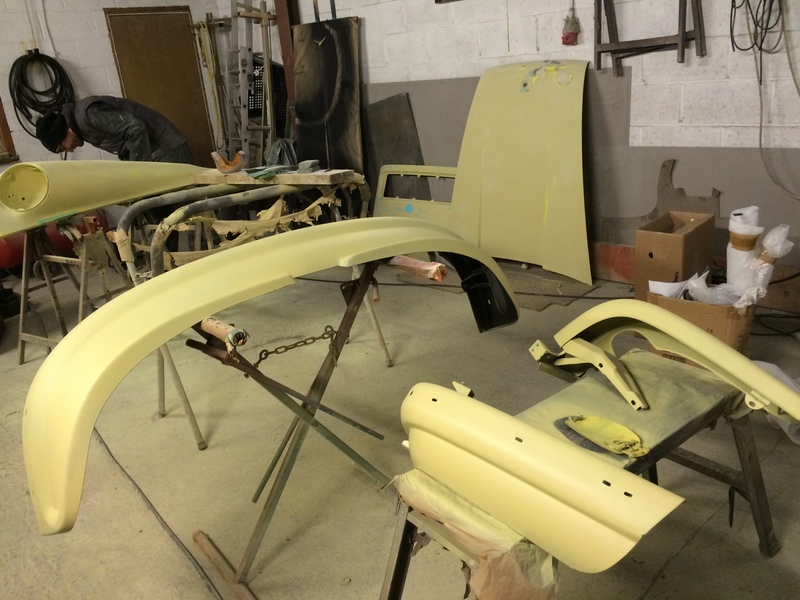 The rear lower bumper corner had also got dented when the current owner rolled her of a jack and there where the usual small dents predominantly located on a wing top. 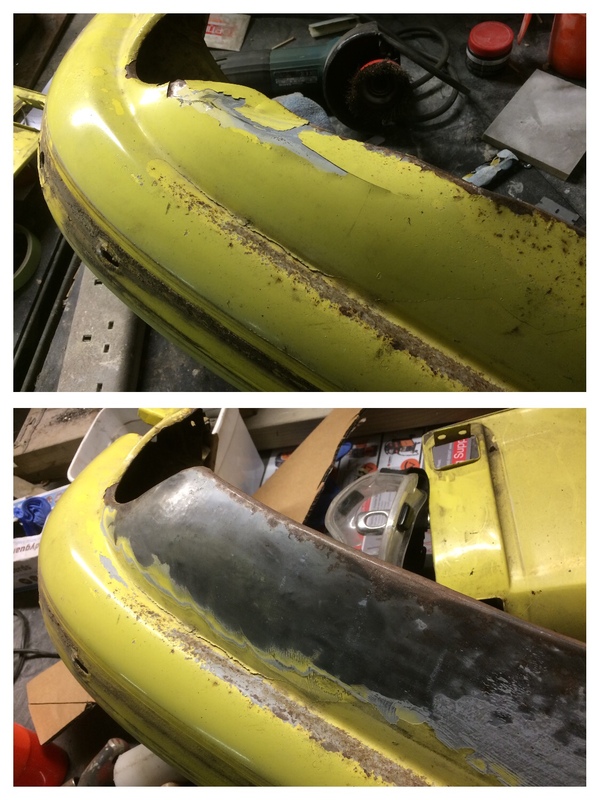 Before and after photo of the Targa bumper dent. The dent was removed using a hammer and english wheel. A tempale was made using the opposite side bumper as a shape reference. The Body was prepared in the usual fashion. 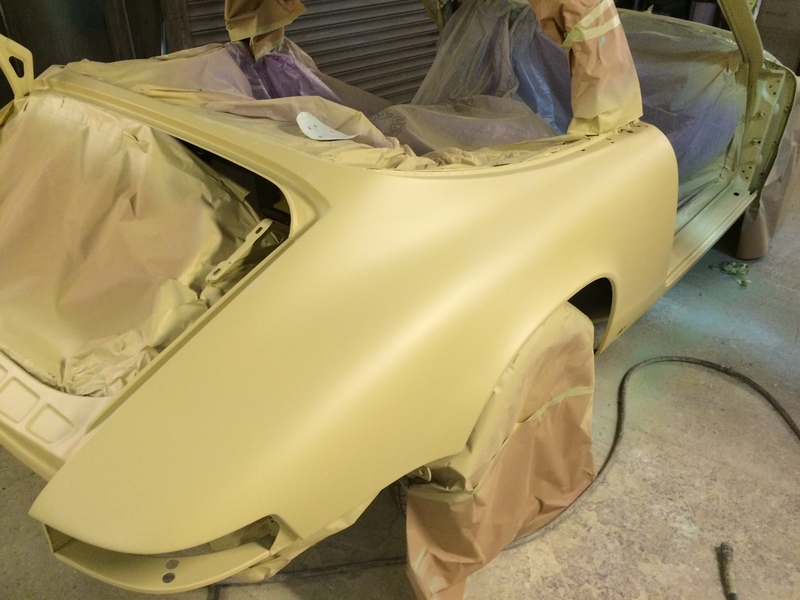 First the existing paint work was sanded and any small dents repaired either using panel beating techniques or a very thin coating of localised filler depending on the depth of the dent and its location. you can see in this photo how distorted the door panels had become over the years. The few small beige circles are filled dents. As you can see the filler is so thin it is almost transparent. If we use filler this is the ideal amount. Off pane;s primed and sanded. You can see on the bonnet and engine lid torques areas and raw metal. this is where the panel has required additional reshaping. 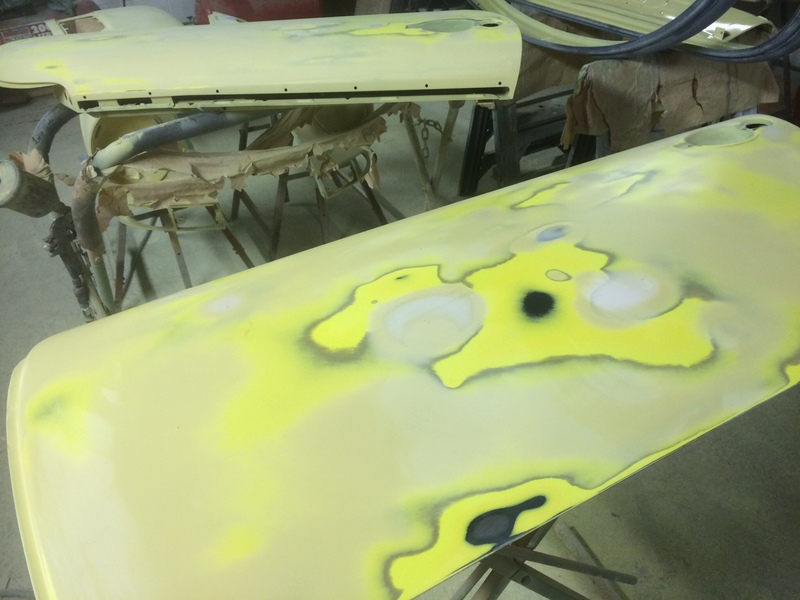 With all the parts sanded, rectified and re primed the first layers of paint are ready to be applied. Going back to the owner. 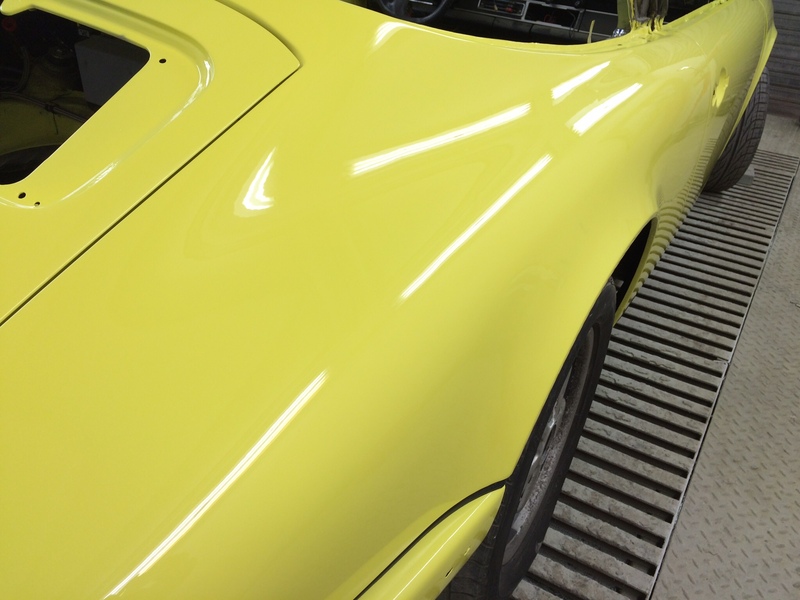 Good straight reflections in the paintwork indicate a dent and ripple free body. 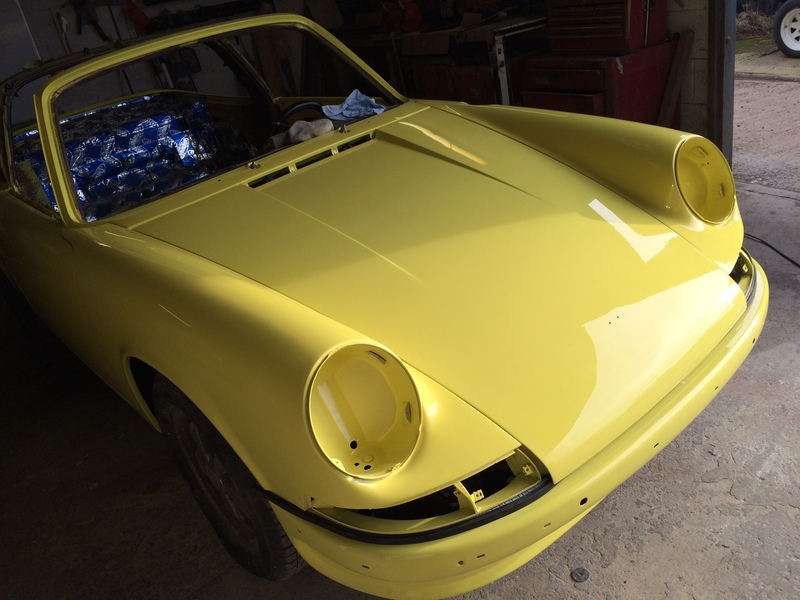 This entry was posted in Paint jobs and tagged bodywork, Porsche, repaint, respray by The Paint Shop Pros. Bookmark the permalink.